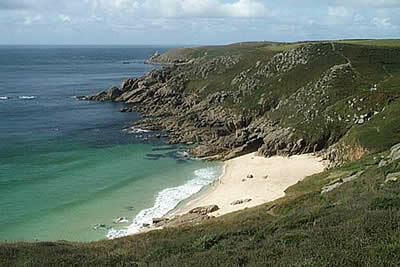 This walk in west Cornwall follows the South West Coast Path from Porthcurno to Sennen Cove, passing Land's End en-route. Seascapes and rugged cliffs are the signature of this superb coastal walk, which is one of the best in Cornwall. The impacts of the commercial activity at Land's End are limited to a short section of the route.